This term for the whole body cleanse comes from the Sanskrit word ‘kaya’, which in this case is used to refer to the human body, while the Sanskrit word kriya refers to a cleansing or purifying action. 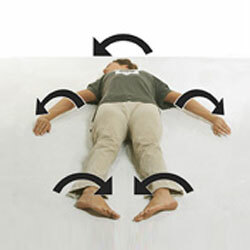 This yoga exercise is a three-part relaxation technique in which the lower, middle and upper regions of the body are relaxed in combination with the movement of the breath. This specific combination of breath and movement acts upon the subtle energies of the body, bringing about balance and harmony.